On Thursday night I learned of the passing of two men that in both different and similar ways had influenced me when I was a teenager. One did it from afar and never knew of the impact he was having on a 13 year old, but probably understood the potential for that scenario and upheld that responsibility. The other guided me up close and personally and probably knew of his impact, but would never let on that he knew. 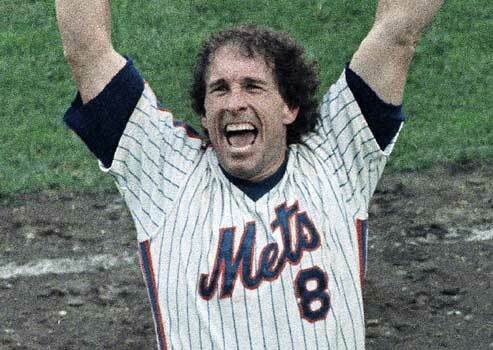 As a rookie fan of the Mets in 1986, I latched on to Gary Carter almost immediately. While the fan in me started emerging in late September of that year, it was the NLCS that would forge that diehard fan I would become. There were other Mets that were having a better series than Gary (barely) and other legends were being born. However, it was Gary that I latched on to. There just seemed to be something about the way he played the game. That ground ball through Bill Buckner’s legs in Game Six is one of those moments in my life that if someone traveled back in time and caused it to not happen, my life would likely go careening off in some other direction, very different from where I am now. I have always felt that Gary was the under-appreciated hero of that moment. He refused to give up. When nearly everyone else had given up, Gary refused to go quietly and a rally was begun. He literally set that moment up and if that didn’t happen, than I probably don’t bother with baseball. The heartbreak likely would have ended it for me. Beyond the lesson in faith and learning that as long as you don’t give up, anything can happen, was that I was inspired to do something I had never done outside of a school assignment before and that was to write. I was moved by the way he played that game and the way that team rallied, that I started sitting down and expressing those thought and feelings in writing. I am sure that at some point something else would have come along at some point that would finally trigger this in me, but the fact of the matter is that it was Gary that first inspired me. Without writing, well, nearly every other aspect of my life is different right now. And it was more than that one game. I’d watch Gary for the next four years and he continued to inspire me, even as his career deteriorated and he struggled to hit home runs, he left such a strong impression on me. He refused to let it get him down and he fought on. He continued to smile, he continued to hustle and he continued to love the game and this just made me love the game even more, which continues to be woven throughout my life. From a brief career in baseball to the numerous summer trips with my wife and sons to the minor league games with which we have begun to mark the lives of our kids, baseball continues to be a big part of my life. A year ago, I began writing a baseball novel and every time I sit to write it, a process that brings me great joy, I continue to think about Gary. The Kids continues to influence my life. Fr. Dan Hurley married my parents, baptized their kids and became a fixture in our lives. He was a cherished family friend that shared both the happiest moments of our lives as well as counselled us through some of the darker times. He was an un-waivering rock for my parents and, at times, a lighthouse for their children. He was human and I am sure he had his own problems and own crosses to carry in this life, but we never knew of them. He was too selfless to show those to us. His visits to our house might as well have been holidays. When I was younger, my sister and I would wait on the street for a glimpse of his car, unable to wait any longer for his arrival. 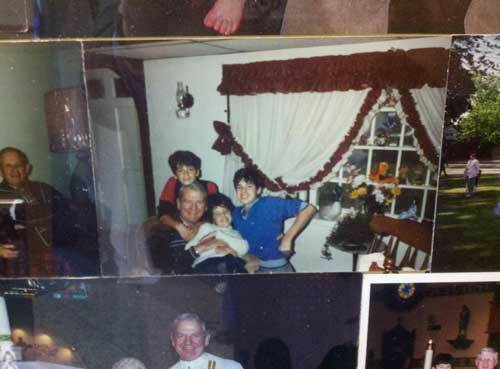 The afternoons with him were spent in laughter as he shared a wide array of corny jokes and funny stories from his life as a Roman Catholic priest. He didn’t hesitate to splash in the pool with us or let us try out new jokes on him. He patiently listened to all of us as we scrambled and battled each other for his attention. He made time for each of us. When the time inevitably came where my parents would dismiss us so that they could talk privately with him, we sulked away and impatiently waited for when we would get called back. I can still picture the cool summer nights spent in the gazebo laughing and talking with him. They are cherished childhood memories. When the inevitable storm clouds that any family faces gathered, he was there, like Superman. There was a sense that Fr. Hurley would make everything better. I believe that at some point in each of our lives he provided us spiritual support, practical advice or just a sturdy ear to listen. And even when the serious Fr. Hurley was needed, he was always able to bring back the laughter. Sometime during my senior year in high school, I very strongly felt I was being called by God to be a priest. While I found great comfort in the thought, it brought on some deep conflicting issues for me. My parents suggested that I talk with Fr. Hurley and on his next visit, we went off to the local State Park, found a picnic table and talked. While I don’t remember now most of what we discussed, he told me to take my time with the decision and that, if I did follow through, he would be there to guide me through it. But what he said after that would ultimately have the bigger impact on me. He told me that if I discovered that I wasn’t being called, it was okay…God wasn’t going to turn his back on me. I went to college a little later that year and by the end of that school year, I realized that I was not being called. This threw my life into chaos as I struggled to find where I belonged in this world and dealing with the guilt that I may have turned my back on God. I struggled with this for months until I was finally able to recall that day in the State Park when Fr. Hurley told me that it was going to be okay if I changed my mind and it brought me the much needed peace that my soul needed. Granted, for years, I still felt I had let Fr. Hurley down by not becoming a priest, but I know now that he understood that I was called for something else. Perhaps, he always knew that my calling would be to fatherhood. I don’t remember the last time I saw Fr. Hurley and I regret that he never really got to know my kids or see me in my true calling as a father. I believe this is what hurts most for me now, that I hadn’t made more time to write him or visit with him. I guess I assumed that he would always be there, that he would always be around. How I miss him now and how I wish I could hear his wonderful laugh right now. And Benjamin is exactly right…while we mourn here on earth, Fr. Hurley and Gary get to be in heaven, the way it should be. They lived full lives…good lives. The type of lives that all of us left behind should live not just for the reward of heaven, but to make the lives around us easier here on earth. There was no doubt they were a bi part of my childhood and teen years, and while it might be easy to say parts of that died with them, that wouldn’t be fair. Their passing, while painful and sad has reminded me of how many happy times I had as a child and teen because of them and I find great comfort in that. I was mostly at a loss of words trying to explain to Benjamin and Matthew why they were seeing their daddy cry for the first time Thursday night and at times on Friday (but they were always ready to give me hugs), but I look forward to a time when I can share stories and videos of Gary with my sons and I can’t wait to tell them all about Fr. Hurley and pass along the corny jokes with them. And I hope that they will have people in their lives that inspire them they way the Kid and Fr. Hurley did for me.